Germany's award-winning vocal ensemble returns to Purdue-performing selections inspired by Twelfth Night, A Midsummer Night’s Dream, Othello, and more. If music be the food of love, play on. Duke Orsino’s plea in William Shakespeare’s Twelfth Night has also inspired All the World’s a Stage: Shakespeare A Cappella—the latest playfully imaginative program from Calmus, one of Germany’s most successful vocal groups. With arrangements spanning the Baroque era to the 20th century, Calmus pairs its perfect blend of precision, lightness, and wit to the Bard’s mellifluous monologues, sweet sonnets, and dramatic declarations. Selections have been inspired by Twelfth Night, A Midsummer Night’s Dream, Cymbeline, Othello, and The Tempest and interpreted by such legendary composers as Henry Purcell, Ralph Vaughan Williams, John Taverner and Jaakko Mäntyjärvi. 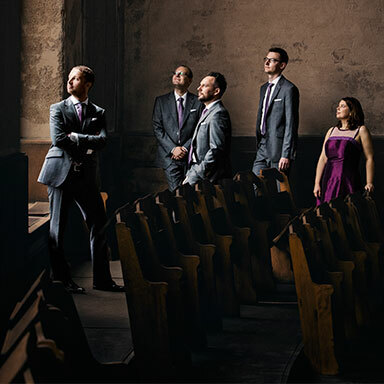 Calmus returns to Purdue and the reverberant warmth of the St. Thomas Aquinas Catholic Center following its 2010 performance as winners of the Concert Artist Guild International competition. 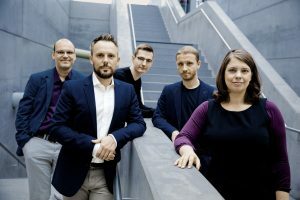 Formed in 1999 by five former members of Leipzig’s St. Thomas Boys Choir, Calmus added a female soprano in 2001, broadening its sonic color and musical range. Hailing from Bach’s home, Calmus is a natural fit for Baroque music, as well as that of the Renaissance and Romantic eras. 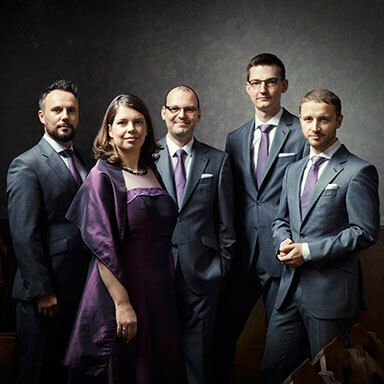 But this ECHO Klassik award-winning group also passionately promotes music of the modern era—from chansons and songbook standards to contemporary commissioned pieces. This open-arms repertoire has thrilled listeners across Europe, South America, and North America—including an acclaimed performance at Carnegie Hall. Join us for this evening of vocal music that will surely come o’er your ear like a sweet sound. The group held the audience…spellbound with its artistry. …In matters of pitch, diction and musical shaping, I’ve never heard finer ensemble singing.